Steven (Chicagoland, United States) on 22 December 2010 in Architecture and Portfolio. 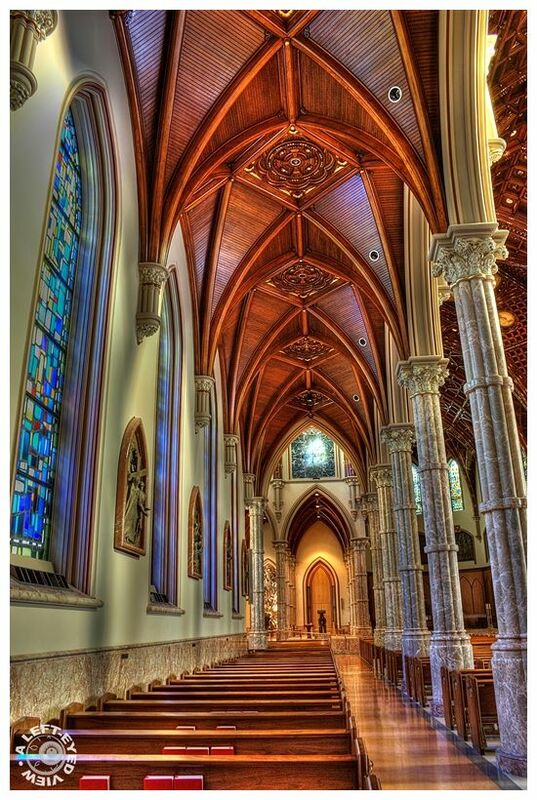 A view of the very ornate, wood-cladded, ribbed vaults above the side aisles inside Holy Name Cathedral in Chicago, Illinois. Photo captured December 17, 2010. One of your best ever, so rich in tones and intricate details, I simply love this one! It's really amazing how it delivers strenght and power to textures and colors. If only our eyes could deliver such. well managed light, excellent processing, well done!!! Excellent interior :) Beautifully taken picture . cool colors! the whole scene reminds me of the setting of a computer game! une architecture et des couleurs de toute beauté ! Awesome! I think, this hdr-capture is one of the best I´ve ever seen! I STILL need to visit there.. wow, impressive design. just so gorgeous - the richness and clarity is amazing - like we could reach and touch it! This is Very nice . . . Wooden vaults, never seen that before. Interesting that this big church is so empty. I think your shots improve between each time I visit it. This is superb processing. Well done!